Many people, young and old, are living with a wide array of physical and emotional needs: decline in motor functioning, social isolation, depression, anxiety, confusion, lack of focus, stress and physical pain…. For Brad, chronic PTSD and depression robbed him of living independently, of having many friends his own age, and of feeling involved in what was happening in the real world. Music therapy helped him connect to a bigger world−the world closed off by his dark orange drapes. When I entered his room, Brad was laying on the top of his bed covers in his pajama bottoms and well-worn Ramones t-shirt. The sun was shining brightly outside, but the thick orange curtains were pulled tightly across the window. You could not see anything through them. Looking at Brad’s chart, I read that he was forty-six-years old and had spent almost half his life in health-care facilities. Brad suffered from severe Post Traumatic Stress Disorder (PTSD) and chronic depression due to his service in the first Gulf War. When his doctor determined he could no longer look after himself, he was admitted into a long-term care facility for assessment. That was almost twenty years ago. “Would you like me to play a little?” I asked. He nodded. He leaned over, turned off the radio. I put the strap over my head and set my hands in position to play the first chord of a James Taylor tune. Brad was silent throughout. When I finished, he lifted his head a little higher on the pillow so his shoulders were elevated. I could now see him more clearly. The lines on his face made him seem much older than his forty-six years. I took a couple of deep breaths and began to sing a Bob Dylan song. By the end of that song, Brad had shifted his pillow over to the side and was partially sitting up in his bed. I took a couple more breaths and sang yet one more song, this time from the Rolling Stones first album release. Finally, Brad looked directly at me, smiled, and sat fully upright with his feet hanging on the side of the bed. “Wow, those are good ones,” he said. He began to suggest more songs and smiled again when I said I knew one he spoke of. The more songs I played, the more Brad opened up. Every song he suggested was now coupled with a personal story from his past. I listened carefully and asked questions when appropriate. It wasn’t long before I saw a clear picture of the man sitting in front of me. Once upon a time, Brad was a fearless, strong, vibrant and independent man who desired something more from his life. We would go on to see each other once a week for well over 3 years….he kept wanting to “keep going.” He became significantly more engaged in other activities, people and the world around him. The staff connected his transformation to the bonding and reconnection to himself that he experienced with his music through music therapy. Music Therapists are sensitive to the needs of people and work with some of society’s most vulnerable including youth at risk, individuals with brain injury, those with mental health issues, learning challenges, and those in palliative care, long-term care and dementia care. They also work with professionals, educators and corporations to ensure the stressed public can access this unique service as needed. 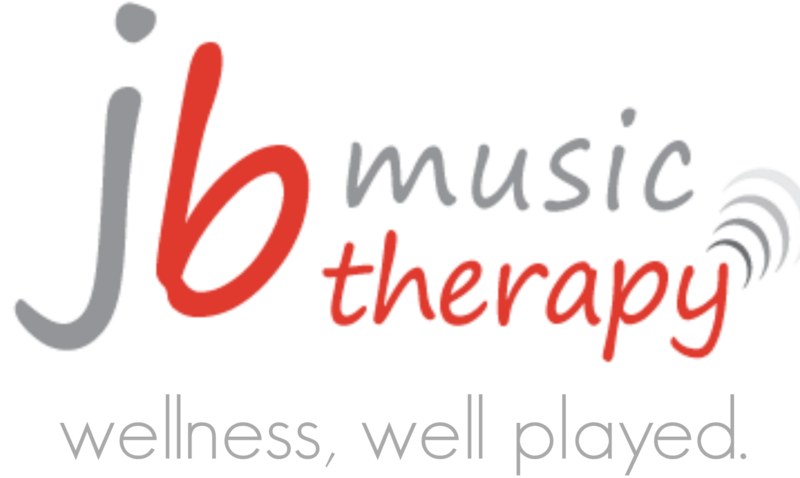 Ideally, every healthcare facility, employee assistance program, and learning centre would have a certified Music Therapist accessible to work with every person who seeks change – regardless of age. Enjoyed your post jb. It reminded me of a recent opportunity I had to observe a music therapy session. Music used for therapy is very powerful. Thank you for sharing your experience. Look forward to reading more.